French Madeleines? Say no more. It’s French so it’s good, right? Well, I’m might be biased. But I made it so it’s good! How about that? And I’m French! Hehe, and quite modest, I may add. Although I have been living in Canada for 8 years, I still ask my parents to bring me several French products. The very first years, the list was long and their suitcases heavy, it was anything from food to my favorite product to remove my make up or a deodorant. Now, the list is way shorter and revolves mostly around food. Don’t you love having something that comes from home? I know that there are things I can find here, but it’s just not the same. When you are an expat, products from your home country are always ”better”, just because. As you might have understood, madeleines were a good that used to be personally imported. Special request for my breakfast. In France, it’s also sold in a ”finger” shape, oh-my-god, the perfect shape for dunking! That’s a little pleasure of life that warms up my heart and makes me feel like I am having a coffee in my Dad’s house with him and my not-so-little-anymore brother. Yeah, because he is like taller than me and quite stronger too. Still has been somehow, even though he is 13 years younger than me! 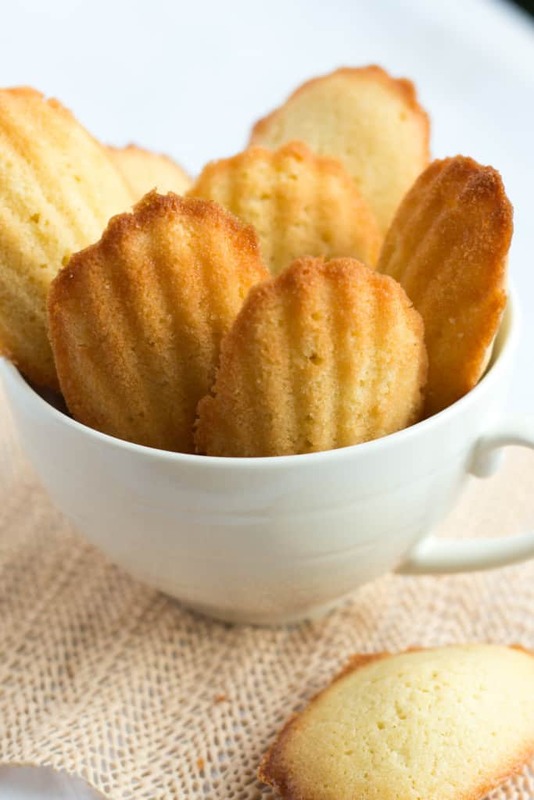 About those madeleines… Where shall I start from? The perfect buttery taste that warms up your mouth? Or the simplicity of the recipe? Really, have some butter out of the fridge for an hour or so, so it’s easy to work with. I got this recipe from my mom, she did it at school (she works in a school) and I have to give the credit to Bénédicte for the recipe that I have adapted. I reduced the butter and the sugar a little. Also, I choose to flavor it with some vanilla extract. Easy and quick? Yes m’dame! Just a bowl and elbow grease, although you can use your electric hand mixer but don’t be lazy, it’s fast enough that you won’t need it. Make sure your oven is preheated while your prepare the madeleines mix and there you have it. 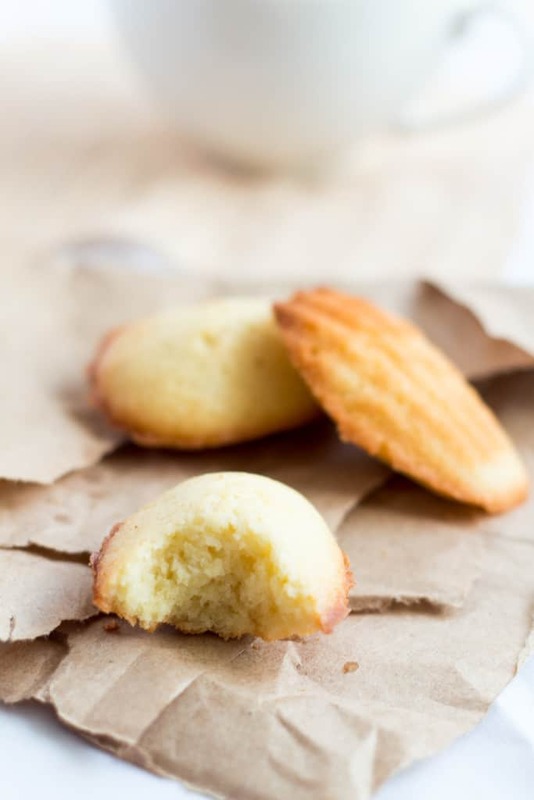 Perfect French Madeleines! What is your little weakness that reminds you of home? Even if home is around the corner. - Preheat the oven at 405F. - In a bowl, mix the butter and sugar until it looks like a creamy spread. Add the vanilla, mix some more. - Incorporate one egg and then the other. Mix well. - Sift the flour and mix until there are no lumps. - Put one tablespoon of the mixture in each madeleine mold and place in the oven at 405F for 9 minutes or until slightly golden. These look absolutely fabulous. When away from home, I miss peanut butter, but not just any peanut butter. It has to be Peter Pan peanut butter! 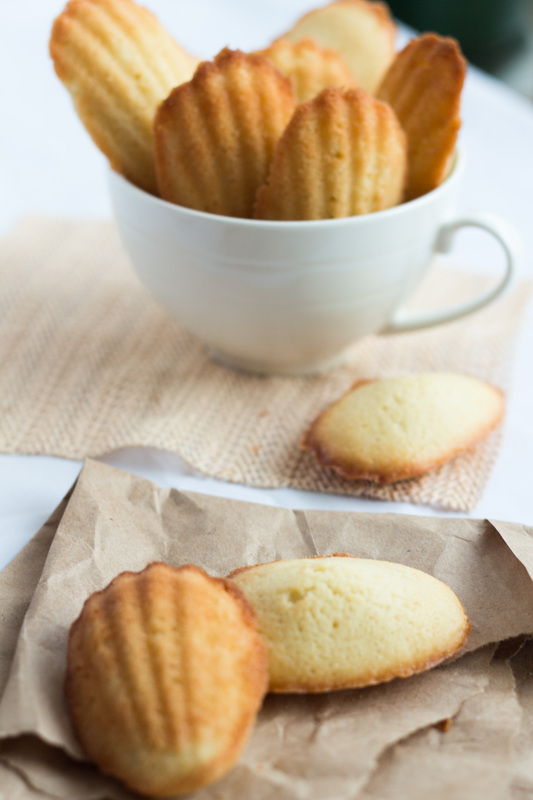 this Madeleines look tender and so Fresh!! I think I have a task for Kim to make. Lol I have 2 Madeline pans that I have never used! Now I will… thanks! Ceecee, no excuses now, give it a try! I am French Canadian so these little cookies appeal to me as well! Lovely recipe – thank you ! These look beautiful! Whenever I leave home I miss the coffee. I don’t care what anyone says, North Americans have coffee figured out. A glut of hipsters to thank for that :-). These are really fabulous Melanie! 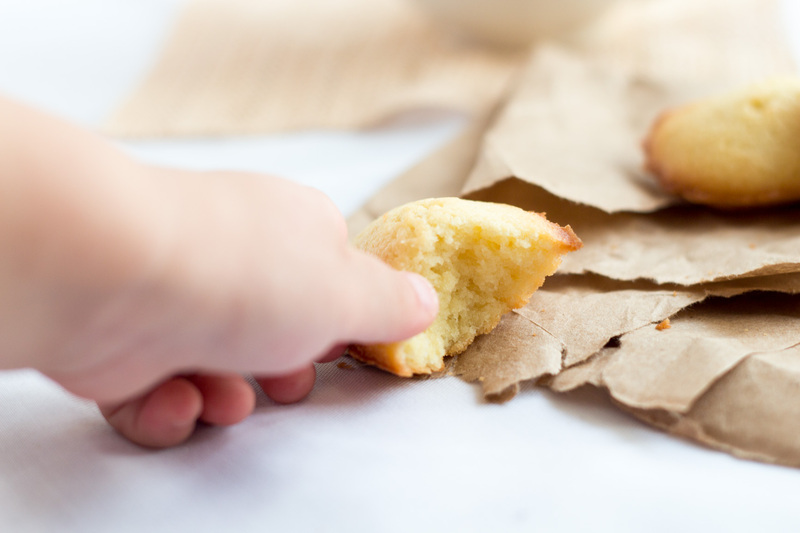 I love your photos too – Light and airy just like your beautiful madelines! I have never seen “set your oven at 405 F. Is that right or did you mean 450 F or 400 F. I really would like to try these, but I’s like to set the temperature properly first time. Thanks, I can’t wait to try these. I’m on my way to see my mom, we lived near Paris when I was young so I know she will love these. I am so very sorry I did not answer before! I left for France and took a break from computers… I did write 405F because in my notes, my recipe was in Celsius and I wanted to be accurate. I am sure 400F will work fine too since from one oven to another there are differences anyway.